Durak T, Zywiec M, Kapusta P, Holeksa J (2015). Rapid spread of a fleshy-fruited species in abandoned subalpine meadows - formation of an unusual forest belt in the eastern Carpathians. iForest 9: 337-343. In recent decades, most subalpine hay meadows and pastures have been abandoned, and trees have been recolonizing these sites where forest existed before agricultural activity. This study examined how woody vegetation, dominated by the deciduous fleshy-fruited tree Sorbus aucuparia (rowan), expanded on subalpine meadows in the Western Bieszczady Mountains (eastern Carpathians, Poland) after the cessation of agricultural use. The aims were to determine the abundance of rowan in the woody vegetation, to estimate the rate of rowan expansion in the studied area, and to characterize the variability of rowan stands and growth forms. Rowan dominated the current plant community of abandoned subalpine meadows, though this species is not considered a rapid colonizer of open areas and was not frequent in the uppermost forest belt before the colonization. The whole area was encroached by rowans in a very short period of time 60-70 years ago. Rowan tree density was similar throughout the elevational gradient but the growth form changed, becoming more shrub-like with increasing elevation. Rowan stands will likely be the main element of the subalpine belt in this region in the upcoming decades. At present, no tree species can be considered a rapid successor to rowan in the area. Land-use change and subalpine tree dynamics: colonization of Larix decidua in French subalpine grasslands. Journal of Applied Ecology 45: 659-669. Winter desiccation stress and resting bud viability in relation to high altitude survival in Sorbus aucuparia L. Flora 172: 21-34. Resprouting as a life history strategy in woody plant communities. Oikos 89: 409-416. The influence of changes in climate and land-use on regeneration dynamics of norway spruce at the treeline in the Swiss Alps. Silva Fennica 41: 55-70. Recent forest limit changes in south-east Norway: effects of climate change or regrowth after abandoned utilisation? Norsk Geografisk Tidsskrift, Norwegian Journal of Geography 62: 251-270. Herbivory influences tree lines. Journal of Ecology 92: 1019-1024. Pace and pattern of recent treeline dynamics: response of ecotones to climatic variability in the Spanish Pyrenees. Climatic Change 63 (1-2): 181-200. An increase in the upper tree-limit of silver fir (Abies alba Mill.) in the Alps since the mid-20th century: a land-use change phenomenon. Forest Ecology and Management 259: 1406-1415. Stages and spatial scales of recruitment limitation in southern Appalachian forests. Ecological Monographs 68 (2): 213-235. Invasion patterns of European larch and Swiss stone pine in subalpine pastures in the French Alps. Forest Ecology and Management 145: 67-77. Woody vegetation in abandoned subalpine meadows of the Western Bieszczady Mts. Acta Biologica Cracoviensia Series Botanica 55 (Suppl. 1): 43. Impact of land use and climate changes on expansion of woody species on subalpine meadows in the Eastern Carpathians. Forest Ecology and Management 339: 127-135. Reversing borealization as a means to restore biodiversity in Central-European mountain forests - an example from the Krkono’se Mountains, Czech Republic. Biodiversity and Conservation 7: 229-247. Tree line shifts in the Swiss Alps: climate change or land abandonment? Journal of Vegetation Science 18: 571-582. Effects of season and intensity of sheep grazing on tree regeneration in a British upland woodland. Forest Ecology and Management 88: 99-106. Long-term effects of excluding sheep from hill pastures in north Wales. Journal of Ecology 80: 1-13. Structure and regeneration patterns in a virgin Picea abies forest in northern Sweden. Journal of Vegetation Science 4: 601-608. Spatial pattern of a pioneer tree seedling bank in old-growth European subalpine spruce forest. Ekológia 24: 263-276. Mountain timberlines - ecology, patchiness, and dynamics. Advances in Global Change Research 36, Springer Science + Business Media BV, The Netherlands, pp. 438. Endozoochory by European bison influences the build-up of the soil seed bank in subcontinental coniferous forest. European Journal of Forest Research 132: 445-452. Central-European mountain spruce (Picea abies (L.) Karst.) forests: regeneration of tree species after a bark beetle outbreak. Ecological Engineering 23: 15-27. Patterns of ash (Fraxinus excelsior L.) colonization in mountain grasslands: the importance of management practices. Plant Ecology 183: 177-189. Forest cover changes in the Western Carpathians over the past 180 years: a case study from the Orawa region in Poland. Mountain Research and Development 23: 369-375. The upper forest limit dynamics in the Western Bieszczady Mts. - changes over a century and a half. Studia Naturae 54 (2): 33-156. The upper forest limit within the villages of Ustrzyki Górne and Wolosate (Bieszczady Mts.) in the end of eighteenth century. Roczniki Bieszczadzkie 20: 15-27. Temporal and spatial aspects of subalpine populations of Sorbus aucuparia in Sweden. Annales Botanici Fennici 23: 267-275. Flowering plants and pteridophytes of Poland. A checklist. W. Szafer Institute of Botany, Polish Academy of Sciences, Kraków, Poland, pp. 441. Ungulate impact on rowan (Sorbus aucuparia L.) and Norway spruce (Picea abies (L. ) Karst. ) height structure in mountain forests in the eastern Italian Alps. Forest Ecology and Management 181: 139-150. A review of light interception in plant stands from leaf to canopy in different plant functional types and in species with varying shade tolerance. Ecological Research 25: 693-714. Tolerance to shade, drought, and waterlogging of temperate northern hemisphere trees and shrubs. Ecological Monographs 74: 521-547. Vegetation-environment relationships of boreal spruce swamp forests in Ostmarka Nature Reserve, SE Norway. Sommerfeltia 29: 1-190. Sorbus aucuparia L. Journal of Ecology 88: 910-930. 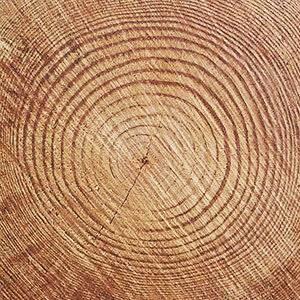 WinDendro for tree-ring analysis. Regent Instruments Canada Inc., Web site. Scrub communities dominated by Sorbus species in the subalpine zone of the Monts du Fez (Massif Central, France). Proceedings of the Konginklijke Nederlandse Akademie van Wetenschappen. Biological, Chemical, Geological, Physical and Medical Sciences 95: 473-495. Quantity, quality and the effectiveness of seed dispersal by animals. Vegetatio 107/108: 15-29. Timberline changes in relation to summer farming in the Western Chornohora (Ukrainian Carpathians). Mountain Research and Development 28: 263-271. Plant communities with Pinus mugo (alliance Pinion Mugo) in the subalpine belt of the Western Carpathians - a numerical approach. Acta Societatis Botanicorum Poloniae 74 (4): 329-343. Stem water potential and leaf conductance: a comparison of Sorbus aucuparia and Sambucus nigra. Physics and Chemistry of the Earth (B) 24 (1-2): 121-123. Landscape influences on recent timberline shifts in the Carpathian Mountains: abiotic influences modulate effects of land-use change. Arctic, Antarctic and Alpine Research 45: 404-414. Formation of the ligno-suberized barrier zone and wound periderm in four species of European broad-leaved trees. European Journal of Forest Pathology 26: 97-105. On the ecology of Sorbus aucuparia (Rosaceae) with special regard to germination, establishment and growth. Polish Botanical Journal 46 (2): 229-239. Sorbus aucuparia regeneration in a coarse-grained spruce forest - a landscape perspective. Journal of Vegetation Science 24: 735-743. Spatial and temporal patterns of rowan (Sorbus aucuparia L.) regeneration in subalpine spruce forest in West Carpathians. Plant Ecology 194: 283-291.